SESSION PROPOSALS WILL BE ACCEPTED FROM MAY 16, 2018 TO SEPTEMBER 15, 2018. The following steps outline how to submit a session proposal to Calgary City Teachers’ Convention. Under the “For Speakers” menu, read the "Speaker Guidelines" and "Speaker Honouraria and Expenses" pages. Prepare your proposal by downloading a session planning form and using it as a guideline to assist you to develop your proposal. Sessions are selected by the CCTCA based on the strength of your session description. Make it clear, specific to teachers, and create a short, catchy descriptor to entice teachers to attend. Sessions are selected by teacher-delegates largely by title. They have over 400 sessions to choose from each year, and having an interesting title for your session will assist in recruiting the audience you want. When you're ready to proceed, select "Speaking Proposal Form" under the "For Speakers" menu. Fill in all required information. There are * for required fields. The form will not allow you to advance to the next page if you have not completed all the required items. If you have forgotten to fill in a required item, prompts will appear on the page to assist with finishing the page and going to the next page. Double-check that the email address you have supplied is correct. If you're copying and pasting from another document, please ensure that it has been completely copied to your proposal. 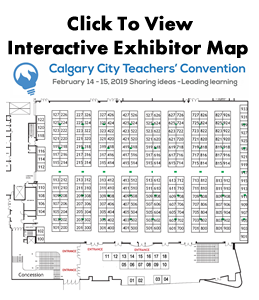 Your title and session description will appear on the CCTCA website and in the convention program app. Please proof-read, and edited your work for a professional appearance. If you need help, email the CCTCA Executive Assistant at CCTCAexec@gmail.com. Save and Resume. There is a 'save' button on the bottom, right side of the speaker proposal form. This allows the speaker to start filling in the form and save it to be filled out or editted at a later date. The speaker may send themselves an email with a link. This link allows the speaker to return to the speaker proposal form and edit the form at a later date. NOTE: Once the speaker proposal form is submitted the save and resume function is no longer available. DO NOT submit the speaker proposal form until it has been reviewed and completed to the speakers satisfaction. Once you have submitted your proposal, you should receive an email confirming your session proposal has been received. For each speaker in your proposed sessions, please complete a "Speaker Bio ". If you have multiple speakers in a presentation, click on the 'Add' button and complete a form for each individual speaking during a session. Sessions are selected mid- September. You will be notified regarding session selections by October 15. If your session is accepted, you will receive an emailed contract with further details and instructions. If your session is declined, you will receive an email explaining that we have passed on your session. After you have been scheduled into a room and time block, you will receive this information. Please understand that scheduling convention is complex and it is very difficult to make any alterations to the schedule. If you need your session moved and the CCTCA cannot accommodate this, your session may be cancelled. We encourage speakers to tweet about their session by directing tweets to @CCTCA and using the hashtag #CCTC2019.